Because participating establishments control the data featured on this service, TradeRooms Ltd, cannot be held responsible for the accuracy of the establishment information or the room rates shown. As a result, we cannot be held responsible for any loss, costs or damages incurred as a result of using this service. The accuracy of the information on BookTradeRooms.com is the sole responsibility of the owner’s of the establishment. The company give no confirmation or guarantee of the description or standard of the property in the adverts published. The individual establishments standard terms and conditions apply. Please confirm all details with the establishment at the time of booking. 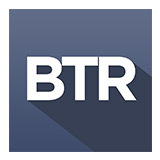 BookTradeRooms.com is not a booking portal for accommodation. It is instead and online platform whereby suitable establishments can advertise available accommodation across the BookTradeRooms network. Upon receipt of a cancellation notice, one of our representatives will make contact with the establishment and arrange the removal of the listing from our website.